In the present times when people have developed the habit of replacing the sentences and words with smileys, stickers and stories keeping up with the knowledge of the words using a dictionary are quite difficult. 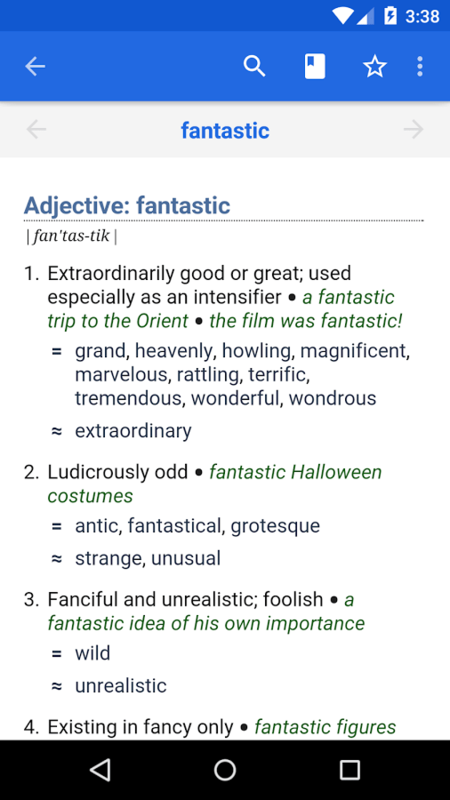 But unsurprisingly there are apps available on the Google Play Store that lets you use the dictionary features on your Android smartphones. Some of these dictionary apps have a feature called ‘Word of the day’ so that you can enhance your vocabulary. 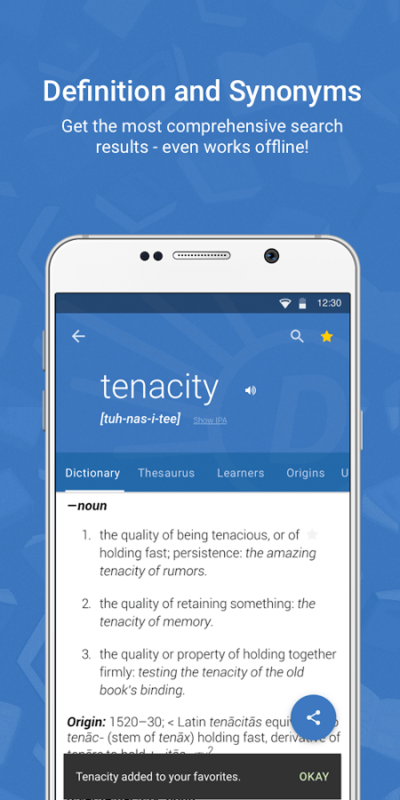 So here is the list of the 10 Best Dictionary Apps for Android. There are very few apps that describe the name of the app this well. 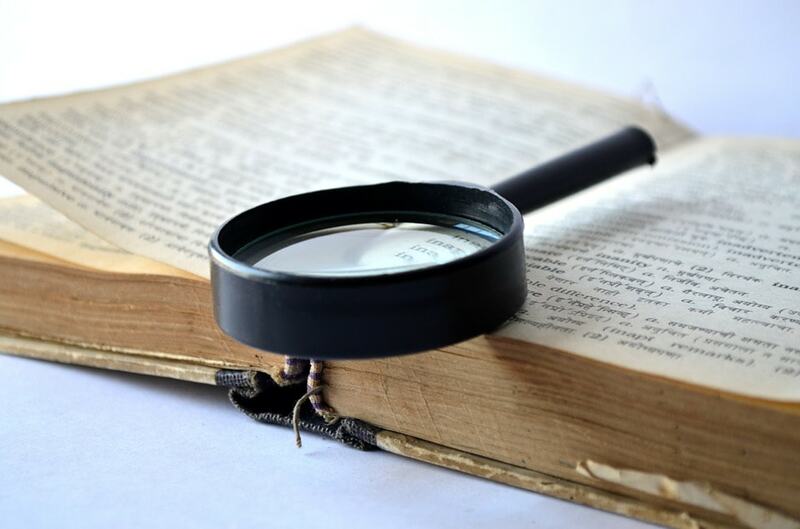 Dictionary app features this descent option to search for words from three different sources namely, Webster’s Dictionary, The American Heritage Dictionary, and the Roget’s Thesaurus. The app features the ‘word of the day’ section also with the thesaurus option. There are over 40 languages that can be translated and you can find the meaning of the words in those languages using Dictionary. 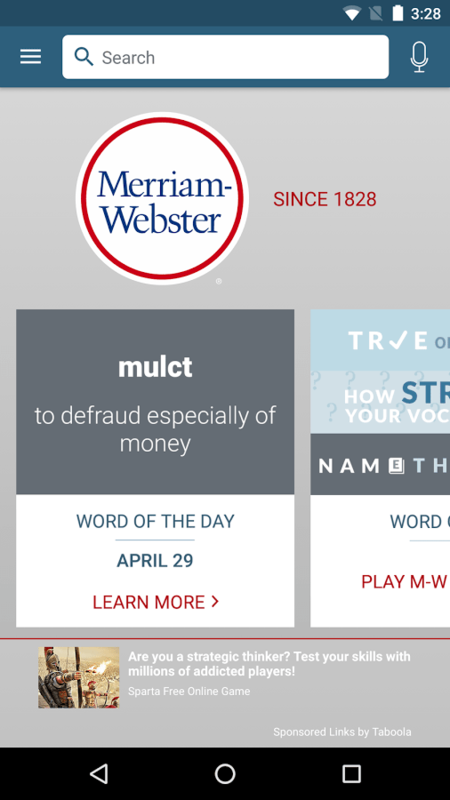 Dictionary.com is one of the most popular dictionary apps of all times with over tonnes of features that includes the ‘word of the day’ too. The dictionary lets you translate words from over 30 languages and even helps you to find out the origin of some words. The built in pronunciation feature adds spice to the app. Dictionary.com also have a slang dictionary; you can search for idioms and phrases too. 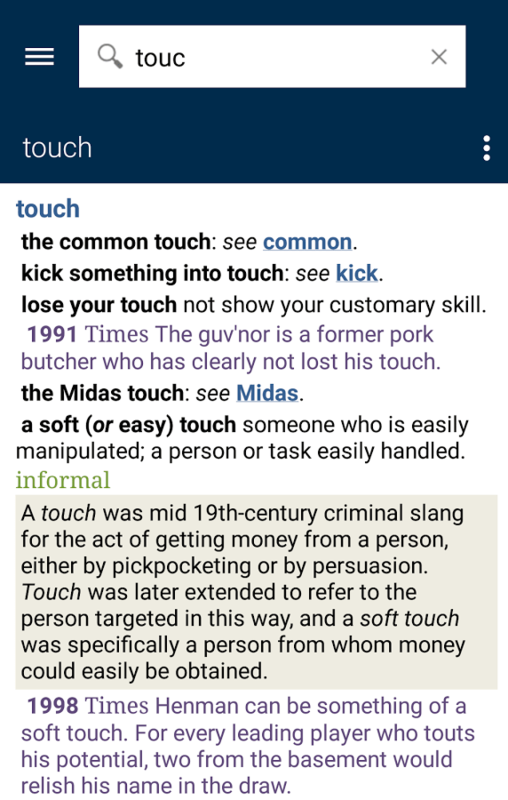 Oxford Dictionary of Idioms Dictionary is developed and maintained by MobiSystems, and the app is not just only about finding the meaning to the words. There are over 7,000 idioms from North American, Australian and British vernaculars built right in the app. For someone who wants to brush up their conversational skill, or to get a grip on the details of different cultures, Oxford Dictionary of Idioms is a must. Hindi is amongst the most spoken language in the world and it is the mother tongue of India. 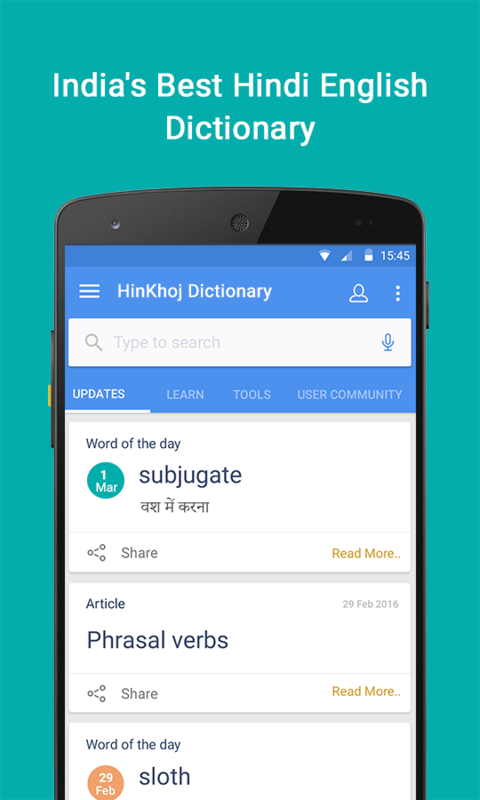 As India is slowly becoming an integral part of the world because of the companies that India is being worked with, English to Hindi Dictionary is one of the essential apps that can be installed on your Android smartphones. The app is simple, and to the point, you can search for a word, and the meaning of the word will be displayed in the Hindi language. 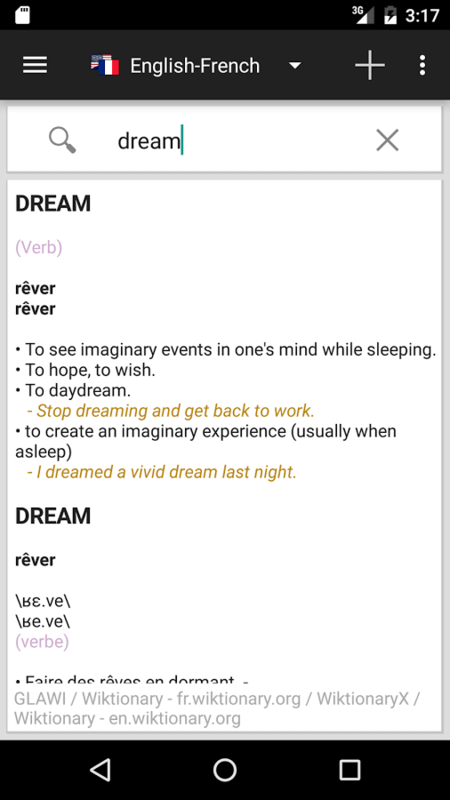 The Dictionary Linguee is available for free to download from the Google Play Store. 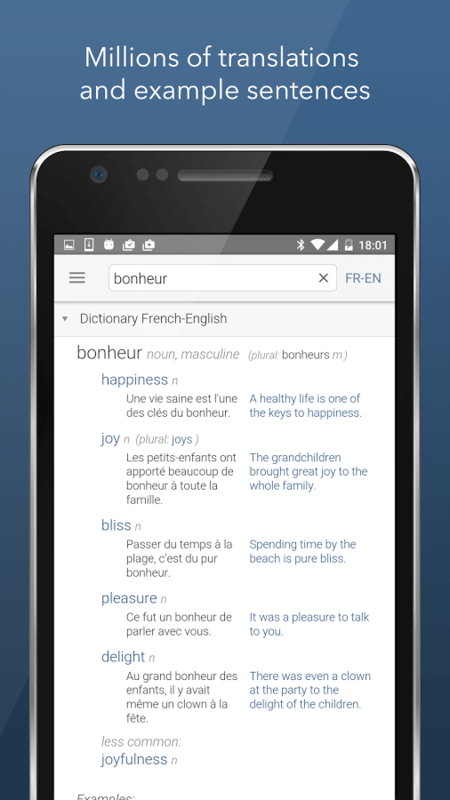 Dictionary Linguee is one of the newest dictionary apps that has been surfaced on the app market. It specialises in the cross-language translations, meanings and definitions. There are several languages that are supported such as, English, French, German, Spanish, Chinese and Japanese and a dozen others. Audio pronunciations, example sentences and search functionality are built in the app. It is one of the most well-known and popular dictionaries out there. Just like all, there are several features that are included in Merriam-Webster Dictionary also. There is a word game added on top of the word meaning and suggestion feature. 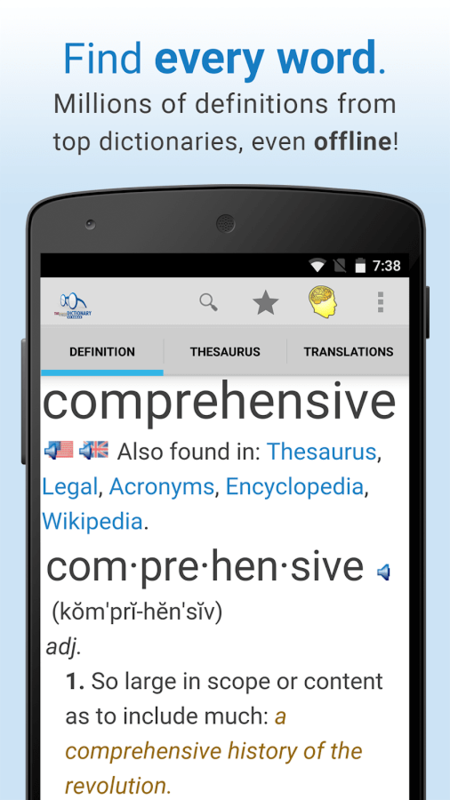 The app has integrated thesaurus, example sentences with audio pronunciations and word of the day as its key assets. 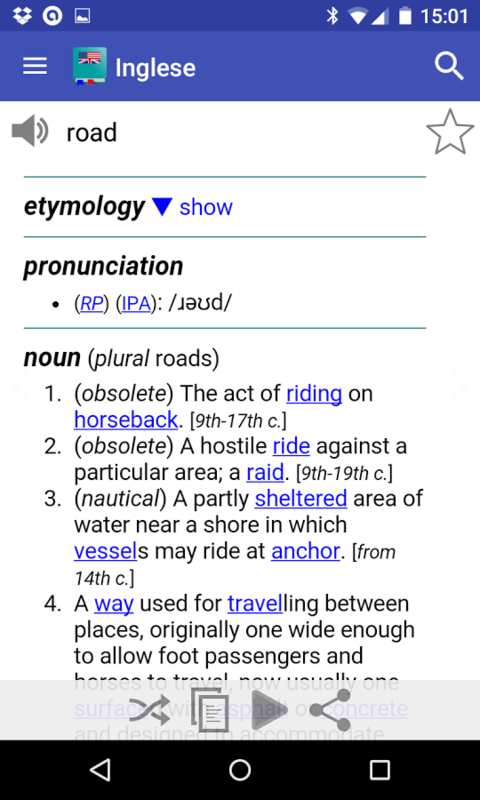 The English Dictionary is another dictionary app that is available on the Google Play Store for free. 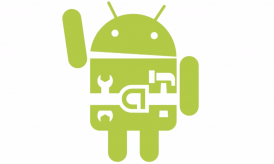 The app boasts a word base of around 239000 words, and that is more than you’ll ever need. There is also a randomizer feature that lets you pick up from some random words so that you can enhance your vocabulary. The cute little animations appear as if you are flickering the pages of a book. 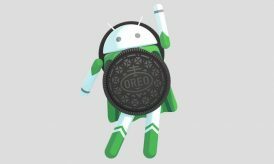 The best part of the app is that it is available for free to download, there are no in-app purchases, and even there are no ads to annoy you. The giant! 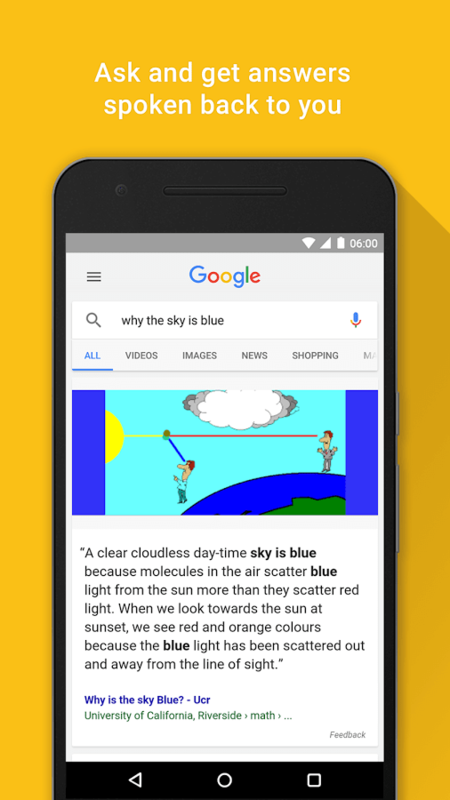 The Google Search is not technically and officially labelled as a dictionary app, but it can be used to search for all sorts of words, and yes in our day to day life we search almost everything on Google so why not use it as a Dictionary alternative. This is a good option for all those who don’t want to install a full-fledged dictionary app to save space on their devices. The language support on the Offline Dictionary is immense. 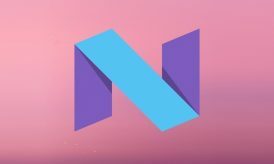 As the name of the app indicates that the app can also work in the offline mode to deliver the words and their meaning, unlike other common dictionary apps. The app covers all the basic features like pronunciation, word correction, and sentence examples. It adds up to the list of free dictionary app for android. WordWeb dictionary has over 285000 words and 225000-word sense definitions; this feature is built on top of the basic features like a thesaurus, voice pronunciations and ability to tell the difference between similar sounding words. I personally use English Dictionary, The free offline English application, which explains the meaning of English words. The best thing I like is no internet connection is required to view the definitions of words.